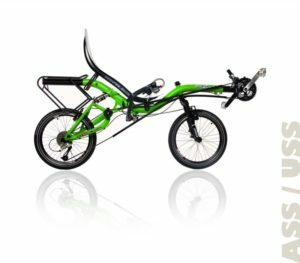 BRC: A dual 20″-wheeled full suspension capable touring bike. 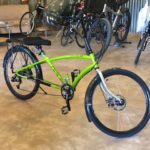 Compact and lower to the ground, this is an ideal bike for shorter folks as well as anyone who wants to ride more technical or demanding dirt trails. AZUB: Stability of the Mini model is given by its long wheelbase. 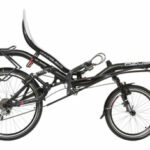 It is very compact and manoeuvrable thanks to its two 20″ wheels. Seat height, which is located lower than the bottom bracket, makes it an active bike with good power transmission. This becomes obvious in a rapid ride through the city as well as during a sportier ride around. If you do not have excessive demands, your Mini will carry you with no significant problems on gravel or forest roads. 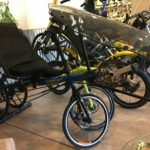 The bike is geared so that you would not have to exhaust yourself pedaling, but it can be much like the other models adjusted for rather slow, or rather speedy operation. 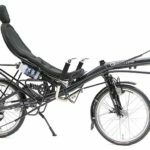 “Special Edition” offers the AZUB Mini “City” version with components that we in AZUB consider ideal for city riding.